Don't you love it when your perennials start blooming? 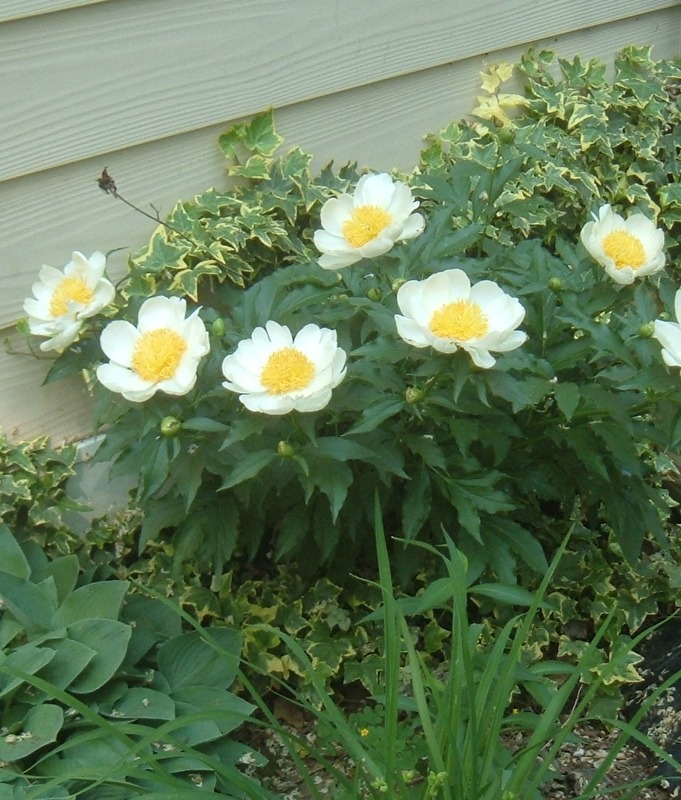 A couple of days ago, the peonies just started popping out. 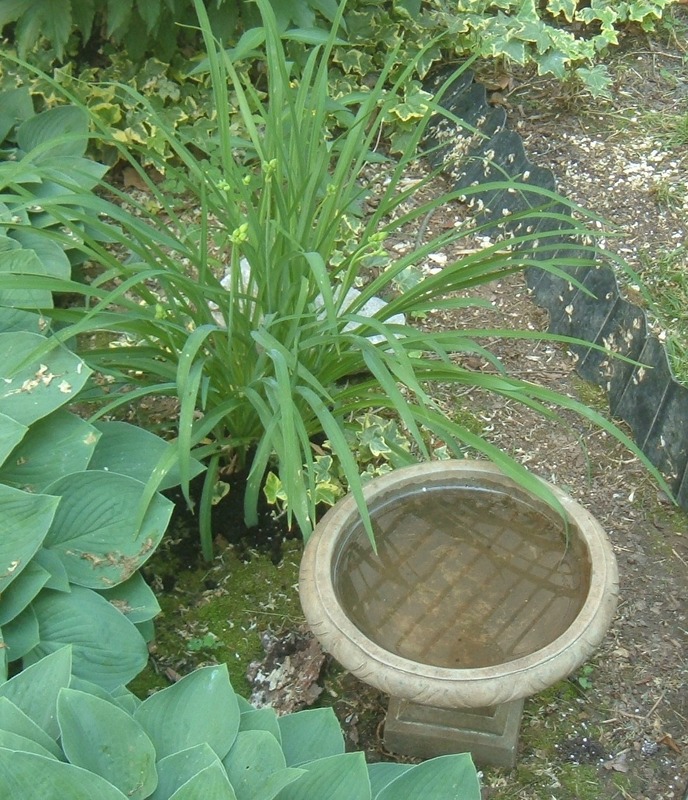 I think this day lily may be next, as it has lots of buds on it. I need to get some annuals this weekend to fill in for color. It's pretty shady back here, so we usually go for impatiens. 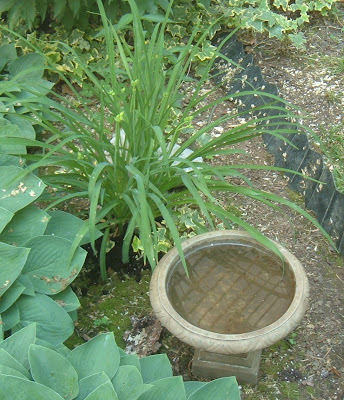 We moved the little bird bath up next to the patio, because our favorite raccoon kept knocking it over in the secret garden. The feral cats like to use it to drink out of and it was a little upsetting to see them lick the hosta leaves for water. And here is a little sneak peek at something I got for the front porch. It is coming together and I am really excited about how it is turning out. I disliked last years decor so I wanted to go in a completely different direction. Beautiful Peonies. Can't wait for our perennials to start popping. Our phlox has but nothing else yet but soon! Love planting hibiscus trees by garage doors every year. 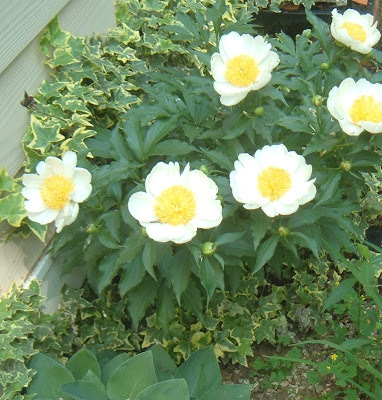 They will continue to bloom through late fall! I love perennials. I have a ton of coresopsis and lavender in my yard. I love when everything blooms the next season. Beautiful! Up here, we've got daffodils in full bloom, along with the flowering crab and tulips (or, in my case, make that 'tulip.') lol Enjoy springtime! Your peonies are so fancy! We just have the plain ones, and they aren't blooming yet. I've not seen peonies like that before! I do love daylilies. 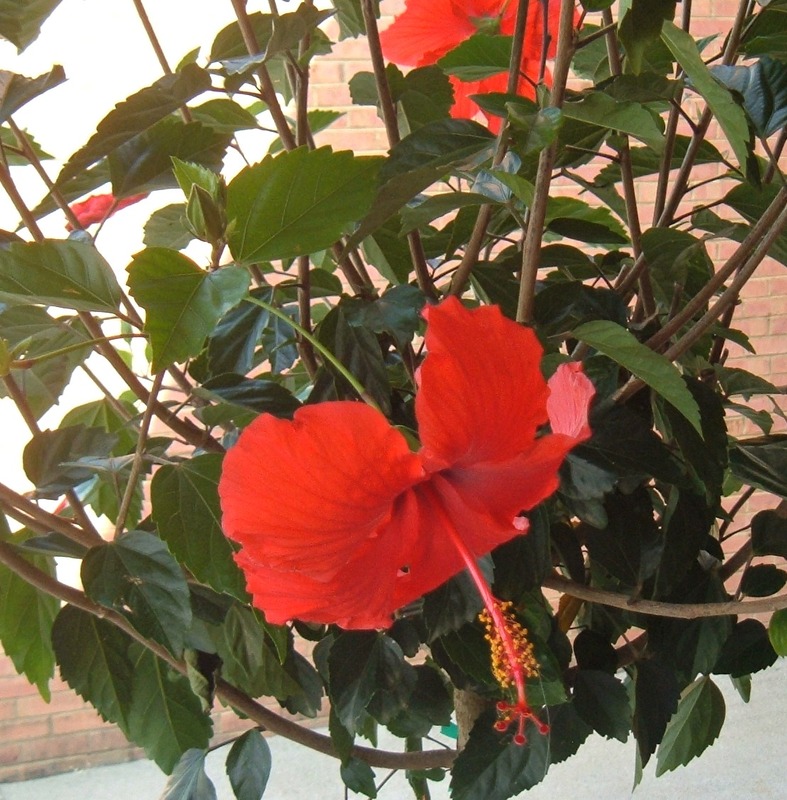 And the hibiscus is gorgeous. You're ahead of us here in PA, of course! Beautiful! My peonies are just beginning to bud. Your flowers are so pretty. I have some roses blooming right now and that's about it. Love a bird bath. I have a little water bowl out for those in need. I am so happy that everything is blooming! This is my favorite time of year. I try to plant like a symphony.....when one plant stops blooming....there is another to continue the melody! Was just showing your blog to my husband! I was browsing the outdoors rooms, and garden posts! I love inpatients too, also need to add some color here! So far only Rhodos are blooming in my backyard!! !